Imagine dancers, artists, bakers and chefs, musicians, and entrepreneurs. Imagine hundreds of students, with their passions laid out in front of them. Imagine entering a high school, immediately welcomed by the smell of popcorn in the air, billowing red curtains marking the entrance, and as you walk in further, a sea of students, ready to share the projects they have been working on for months. 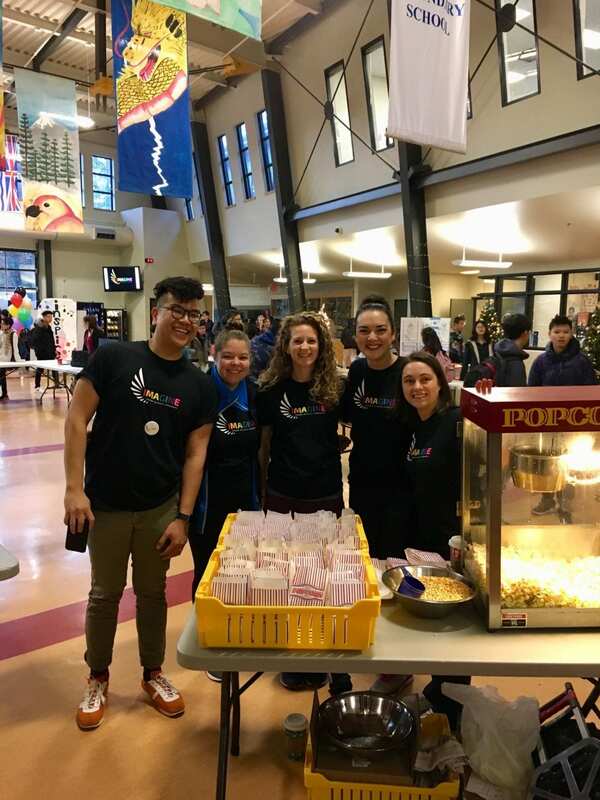 Bubbles floating through the air, rainbow lights illuminating the hallways, and painted umbrellas suspended in mid-air are just a few examples of the care and passion put into the Imagine showcase that took place at Fraser Heights Secondary School on December 5th, 2018. Imagine evolved from prior inquiry-focused fairs held at Fraser Heights Secondary School in Surrey, B.C.. Since April, Imagine has been a labour of love for humanities teacher, Mrs. Jessica Gonsales. 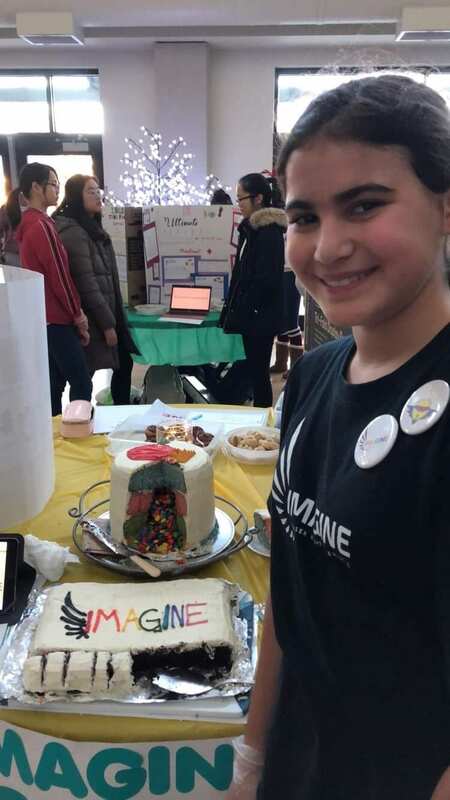 It began as “Innovation Fair”, an event for grade 8 and 9 students in which they were asked to create or enhance a product that they would pitch to their peers, as well as visitors from local elementary schools and university representatives. Over the years, it became apparent that, in order to spur more excitement and participation, a new direction was needed. 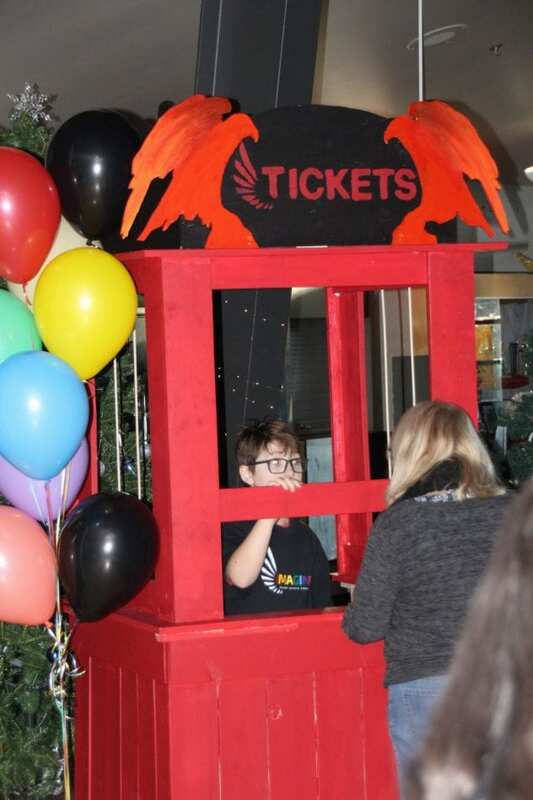 So, in the second half of the previous school year, Mrs. Gonsales, along with support from most staff, administration, and student mentors, came up with a way to turn this Innovation Fair into something the whole school and community would enjoy; Imagine was born. 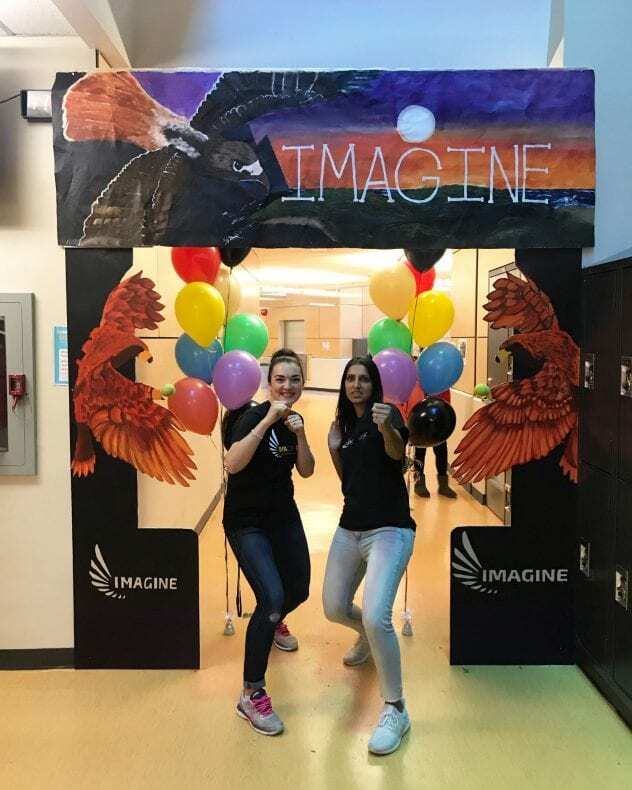 The goal of Imagine was to inspire students to do a project that built on their passions, challenged themselves, and incorporated a whimsical, carnival-like atmosphere. Being involved in the process of planning Imagine from the beginning is an experience that has been of great value to me. Having participated in previous Innovation Fairs myself, I was excited to be part of Imagine. I knew that even if the students were apprehensive about it at the beginning, or didn’t necessarily understand the point, they would later realize how lucky they were to have been given an opportunity to express themselves and scaffold their learning through a passion-based project. The aim of Imagine is to give students a way to find joy in learning; there is no rubric, no set curriculum, and loose guidelines. In the world of YouTube, kids can’t wait to get home from school or take their phones out so that they can learn something. We wanted to bring that excitement back into the school and learn just for the sake of learning, not for marks or prizes, but just because.We wanted it to be as open-ended as possible, from the planning process all the way up to the day of the event. Recreating the traditional science-fair concept with displays of data and hypotheses was not our aim—although there were some students that chose to do a research project, the majority of students stepped outside of the standard project design. On the day of the event, we turned our multipurpose space into a restaurant for the bakers and chefs, the inquiry classroom became an art museum, the cafeteria was home to dance performances and a student DJ, and the hallways were lined with entrepreneurs, pianists, writers, and everything in between. Throughout the morning, we welcomed many visitors into our school to experience Imagine, including grade 7 classes from the surrounding elementary schools, district principals, assistant superintendents, university representatives, and representatives from SFU’s Centre for Imagination in Research, Culture and Education (CIRCE). The visiting students (future Fraser Heights students) were inspired and excited to learn they would be participating in Imagine next year, teachers were amazed at the hard work we put into making Imagine a success, and everyone else that visited had nothing but praise and awe for the students, staff, Mrs. Gonsales and the Imagine team. The response to Imagine on social media has been amazing. 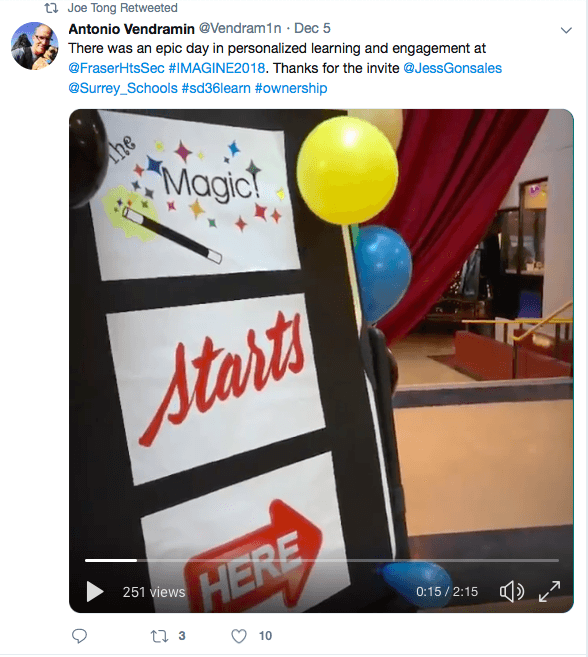 Mr. Jordan Tinney, the Superintendent for the Surrey School District, recognized us on Twitter. Educators across the district have mentioned us on multiple social media platforms and the feedback from our own student body has been incredible. I’ve received many messages from students and staff about how unique the projects were. 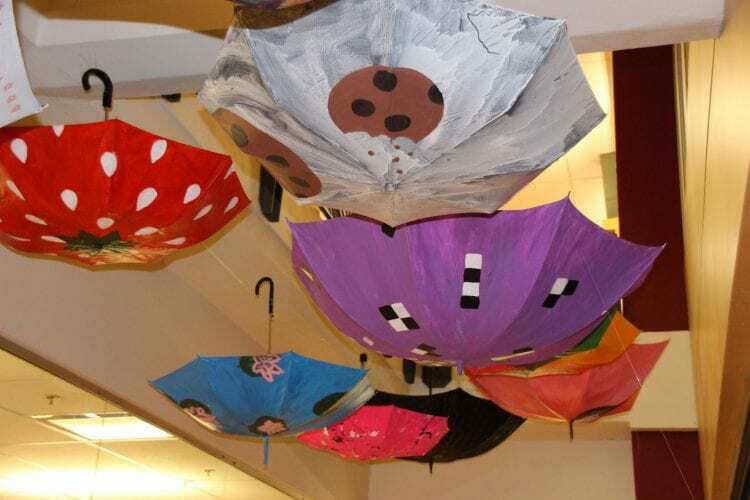 The messages complemented the staff- and student-made art-installations spread throughout the halls, and provided generous praise for the work we put in to make Imagine the most amazing it could be. I am extremely grateful to Mrs. Gonsales for putting so much trust and responsibility in me as well as the other student mentors, and to the rest of the staff in their support for Imagine and the message it spreads. 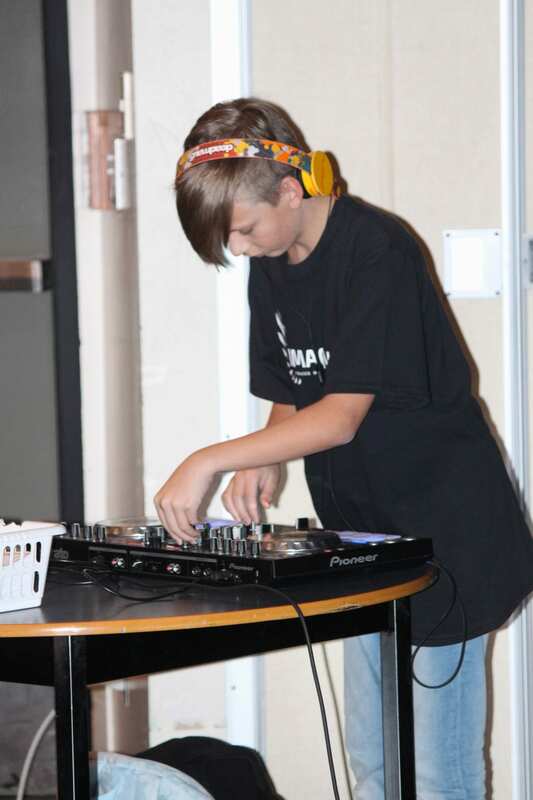 It was important for us to create an event that the whole school and community would enjoy. I hope that we have inspired our school community to pursue their passions, and encouraged them to think outside of the box once in a while. 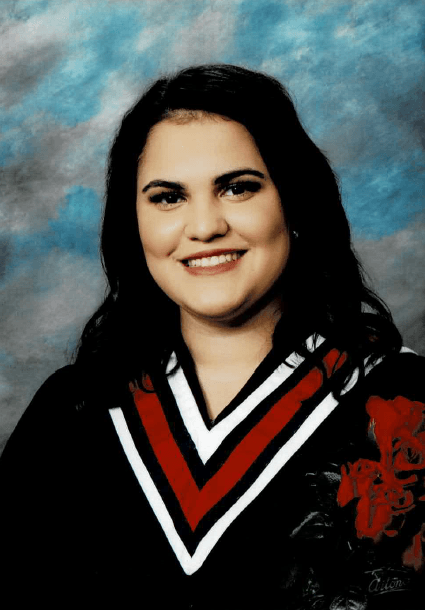 Well done, Hannah …and Ms. Gonsales! Events like this – all too far and few inbetween – show us how much young people can aspire towards, how much about the world interests them, and how much they can achieve in a school based in curiousity, inquiry and facilitative (service) leadership. 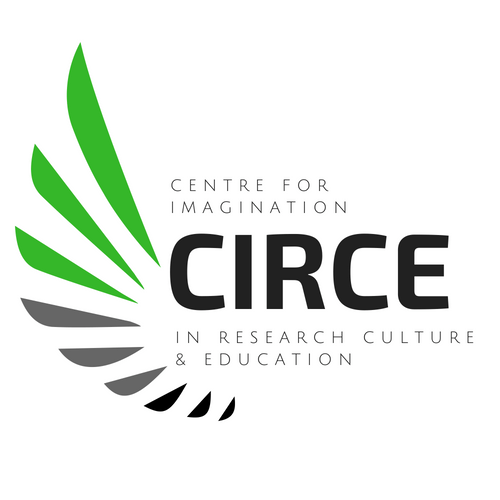 Most importantly for us older and perhaps stodgy educator-types, it serves as a vital reminder that focussing on IMAGINATION, that frothy and productive sense of the possible we all carry inside us, results in an abundance of generosity…about curriculum, about learning, and about the beautiful life surrounding us all. Well done! Awesome to read about this! Congrats to the teacher and her students!